All possible Public Safety Power Shutoffs have been cancelled and customers are being notified. SCE crews make repairs in Malibu after damage to equipment from Woolsey Fire. UPDATED Nov. 14, 8:30 a.m. 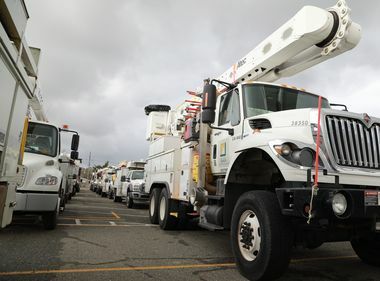 Hundreds of Southern California Edison workers have been dispatched across the areas affected by the Woolsey and Hill fires to repair damaged power poles, wires and infrastructure. Initial assessments indicate approximately 700 poles have been damaged or destroyed in the fires. This number may rise as damage assessment teams continue to gain access to additional burn areas. 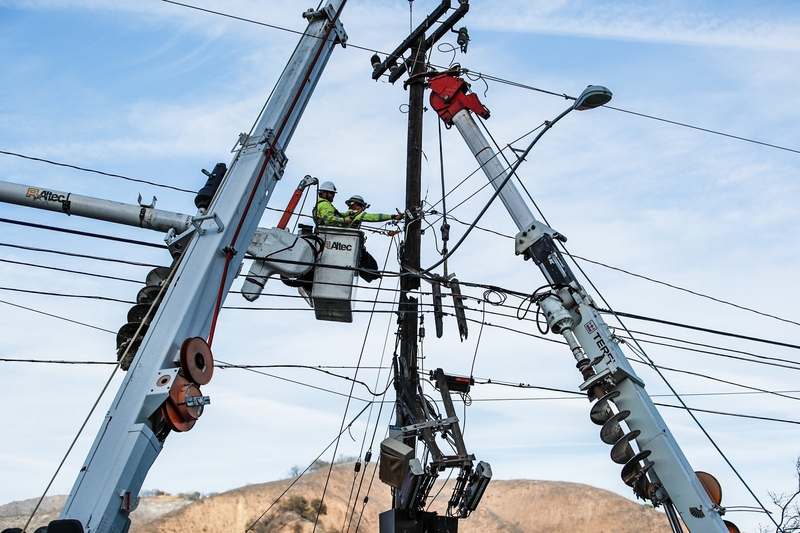 So far, SCE crews have replaced 185 poles and transformers and strung 77,000 feet of wire. As of 8:30 a.m. Wednesday, about 9,000 customers were without power due to the Woolsey and Hill fires. Outage numbers will remain in flux because of a rapidly changing situation. SCE is also monitoring the Sierra Brush Fire, which appears to have started about 10 p.m. on Tuesday. 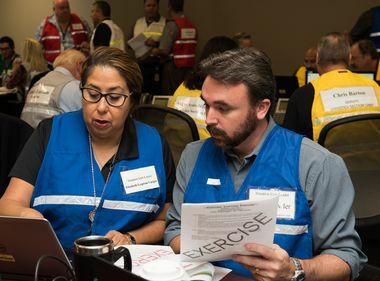 SCE began assessing damage by helicopter once flight restrictions over the fire areas were lifted, but damage assessment teams must also follow up on the ground to verify the damage and determine what equipment is needed before repairs can begin. 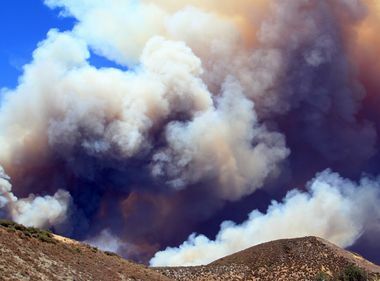 With the Woolsey Fire alone covering nearly 96,000 acres and the Hill Fire burning more than 4,500, assessing the damage is a massive undertaking. 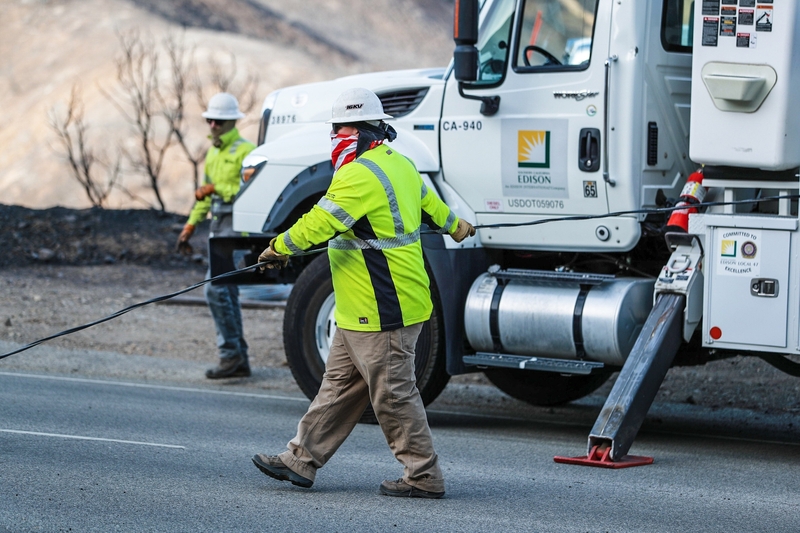 SCE’s damage assessment teams go in by truck — and sometimes on foot — to inspect the destroyed or damaged equipment. Our crews are working to restore power to customers as quickly and safely as possible in those areas where fire officials have granted us access." Using Global Information Systems data and circuit maps, the teams can determine the electrical layout and assess the equipment that needs to be replaced. They will also determine the manpower needed to make the repairs. Meanwhile, SCE has cancelled all notices of possible power shutoffs due to extreme winds and is notifying customers in those communities. 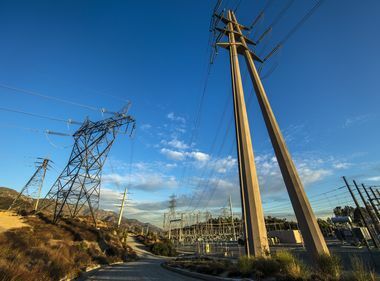 SCE shut off power due to extreme conditions to about 85 customers in the Moorpark, Chatsworth, Santa Clarita and Saugus communities on Monday. Power has now been restored to all of these customers. To see the latest information about outages, go to sce.com/outages or visit twitter.com/sce and facebook.com/sce. Customers can also report or inquire about outages at 800-611-1911. If you see a downed power line, do not touch it or anything in contact with it. Call 911 immediately. Power outages in the area may impact traffic signals so motorists should use extreme caution and treat all intersections as four-way-stops. Remember to check emergency supplies to be sure you have a battery-operated radio, a flashlight and fresh batteries. Use flashlights instead of candles to avoid fire hazards in your home or business. If you’re in a vehicle with a fallen power line on it, stay in the vehicle and remain calm until help arrives. It is OK to use your cellphone to call 911. If you use a generator, place it outdoors and plug individual appliances directly into it, using a heavy-duty extension cord. Connecting generators directly to household circuits creates “backfeed,” which is dangerous to repair crews. Please consult the manufacturer’s manual for operation.